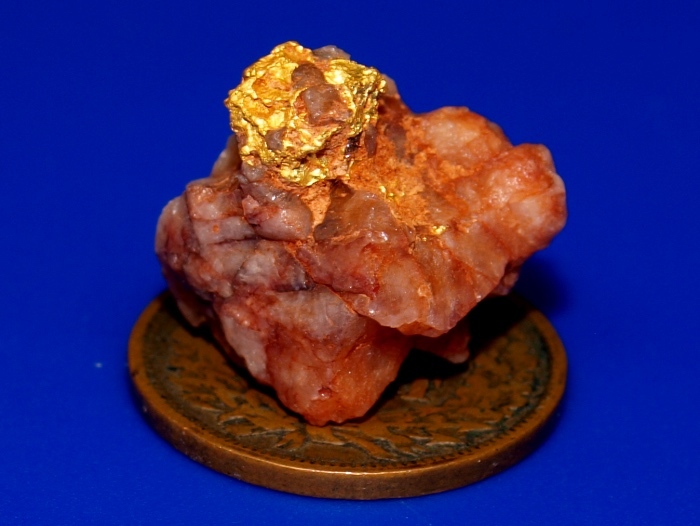 This gorgeous specimen of gold in quartz comes from Kalgoorlie, Western Australia. 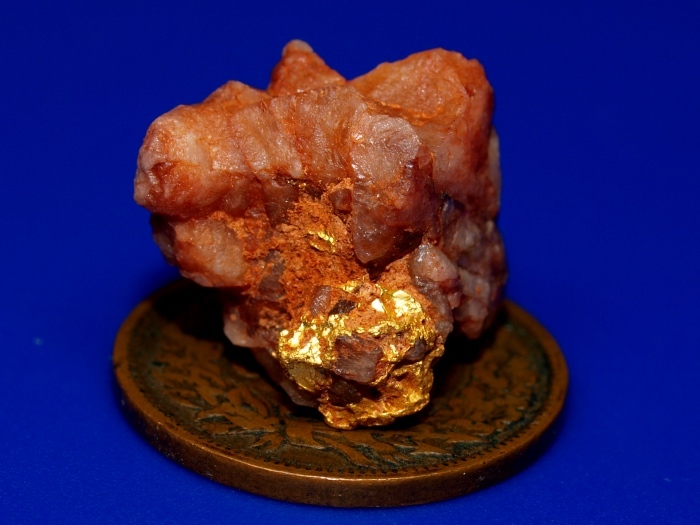 The quartz has a nice iron-reddish color and the gold is nice and bright. 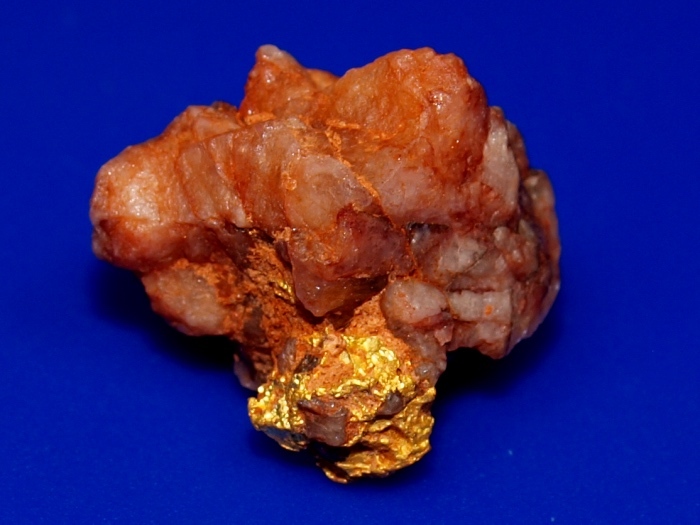 The total weight of the specimen is 4.30 grams.